Today, women account for 85% of consumer purchases and control $20 trillion in global spending. At the same time, women perform 66% of the world’s work (both paid and unpaid) yet only earn 10% of the world’s income. In the U.S., there are approximately 10 million woman-owned businesses, generating $1.3 trillion in revenue and employing 7.8 million people. This number is expected to increase by 90 percent in the next five years, with 500,000 new businesses being created each year in the U.S. alone. At the same time, 1 in 3 women in America lives in poverty and of the 1.3 million people living in severe poverty globally, 70 percent are women and girls. Since tomorrow is Small Business Saturday, I thought today’s Femme Friday could be all about female small business owners. 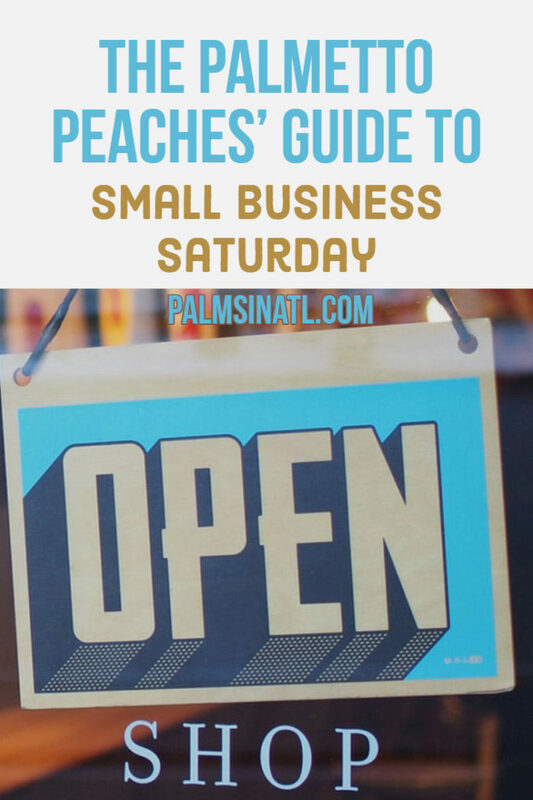 I asked my Facebook friends to throw out some of their favorite female-owned businesses and I’ve included some of my favorites as well in this Guide to Small Business Saturday. I followed Fiercely’s Valery blog for a long time. So, I was excited to see her start this company. Here’s the fun part. Fiercely isn’t just any t-shirt shop. At Fiercely, they believe in feminism, in women’s rights, ethically made clothing, and giving back. A percentage of each purchase goes straight towards an organization that works to empower women. Guess where my monies are going for Black Friday. 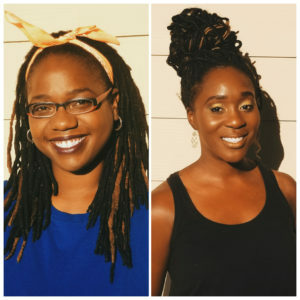 Toni Daley is an online content creator dedicated to helping women love their natural hair and beauty. I love her hair wraps and jewelry (which make for awesome gifts). All of the accessories make me smile and whether I’m rocking my faux locs or my curls, they stand out. Bonus points because she’s hair goals and an awesome vlogger. Instagram was a hater and froze her account, but here’s a video. LimeLife – If you’ll remember from my first Femme Friday post my friend Lindsay is a mama of two and an entrepreneur. Little Brown Girl – I love this mission of this company. Little Brown Girl offer products, stories and events that reinforce positive images of little brown girls and the beauty of brown skin to the world! Don’t worry, there’s representation and products for little brown boys as well. KickBoomSmack – This shop offers urban fashion with a comic book nerd twist. JM + Co. – A friend recommended this online boutique and I’m sold. There are some amazing pieces at really great prices. Bonus: the boutique owner also specializes in portrait photography in the Atlanta area – https://www.jerrina.com. Motherland Essentials – If you’re looking for organic and natural products that won’t break the bank this shop has your name on it. Inglenook & Co – All of the products are created from locally owned raw resources and they have BEER SOAP, y’all. Kitchen Mystic Goods – A unique pop-up boutique serving the greater Tucson area specializing, knitwear, body care, spiritual notions, and home wellness. Simply Shier – Check out this shop for home décor, gifts, customization, and more. She’s a marketing professional, a wife, fur mama – so basically a superhero – and she bakes these amazing cookies. Planti Meals – Chicago peeps if you hate to meal prep, but still want healthy meals check out Planti Meals. They deliver fresh pre-made meals directly to your doorstep or favorite grocery store! Serve.Co – Serve.Co (Serve Community) is a program and curriculum development agency for non-profit organizations and small businesses. If you’re a start-up non-profit or a seasoned organization in need of some planning I’d recommend Serve.Co. Karst Promo – Based out of my hometown of Charleston, SC, this isn’t your average promo company. Karst is creative agency branding cool products for awesome companies. I have a friend that works here and I’m telling you the items are very cool! Because who really needs more pens with their company name on them. Hello Badger PR – A boutique PR business offering media relations, content creation, digital and crisis communication strategies for tribal governments and nonprofits. Sea Foam – A block-chain marketing agency with some of the top technologists, content creators, and designers in the industry. South Carolina peeps if you’re looking for an event or wedding planning company, this Carolina grad is the woman for you. From start to finish Amber works with clients to achieve their personal vision for a positively memorable affair! This wife and husband team creates some of the most beautiful and romantic photography. I’m including a shot from my friend who recommended them. Swoon away as you click through. This was so fun to pull together. However, I’m looking for more! Share your favorite woman-owned companies in the comments below or tag us (@palmsinatl) in one of their social media posts. Happy Small Business Saturday to you all!